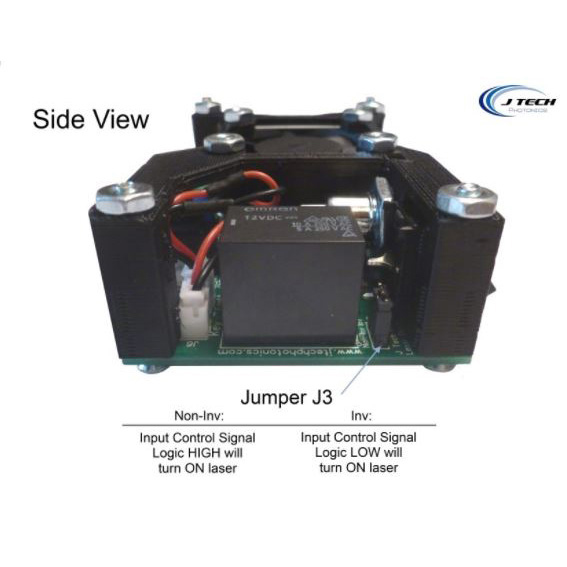 This is the very popular JTech Photonics 2.8W Laser Kit. 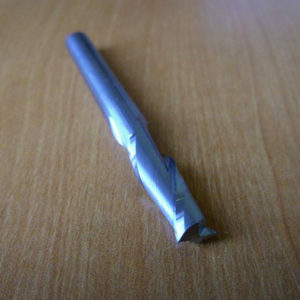 JTech Photonics has customized these for MillRight CNC with a cable length appropriate for the Carve King. This will work with the MillRight CNC M3 too. 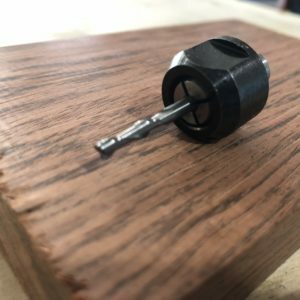 We also add a laser mount that will install onto your existing router/spindle mount. 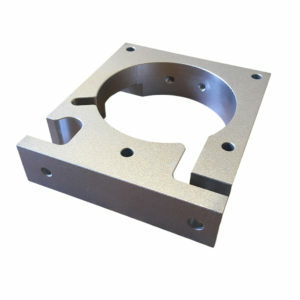 Please specify whether you are using our 400W spindle mount or our router mount. We will include hardware to fix it to that mount. Cut thin and non dense woods like Balsa, Basswood, and thin plywood! Cut many types of foam and plastics! MAKE incredible objects for projects or production. Your creations are only limited by your imagination! Key Switch – This key is needed to enable the laser. When the key switch is turned on, the laser is enabled and the key CANNOT come out. You can only remove the key when it is disabled. This feature is good if you have curious children or have your laser in a shared area and want to limit use. Just take the key out and hide it! 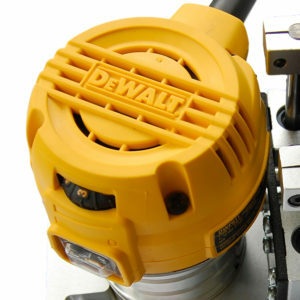 Remote Interlocks – This feature allows for the addition of switches to your enclosure so when it is open, the laser will automatically turn off. 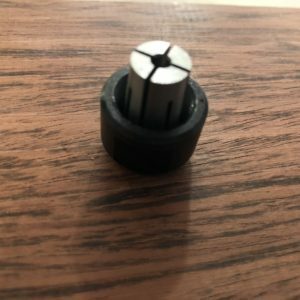 Also provides for the addition of an EStop button for the laser, which is always good for if you need to stop the laser super quick! Add as many switches as you want to make a super safe area for your laser machine so nobody can accidentally look into the laser. Power Fault Protection – This one may seem like it is not needed, but hear us out. Consider your power goes out in your area where the laser is located. You were running your program and then everything is dark…Power doesn’t come back on for awhile… long enough for you to forget that the laser was left ON! You come back and are checking your laser and boom, the power is back on, right when you are looking straight at it. Well, don’t worry because the laser will be disabled whenever the power to the driver is lost. Press the reset button and you are back in action! Emission Indicator – The small little LED on the front to let you know you’re really super bright laser is on. 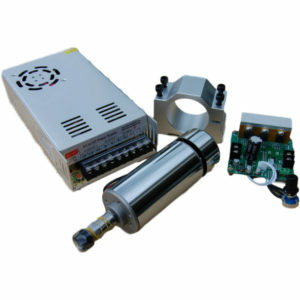 This kit is a combination of the new 2.8W 445nm 9mm Laser Diode Component and the 2.5 Amp matching safety compliant laser driver kit with a 12V adapter. We now include a pair of safety goggles with every kit as well! 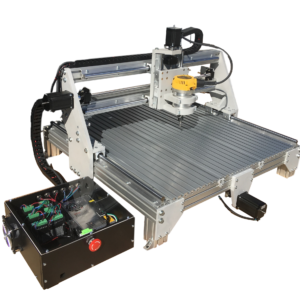 This has everything you need to get your laser up and running in your product or project. This is the bigger 445nm 9mm laser diode with an added our High-Efficiency AR Coated Glass lens. This laser can run for extended times at 2.2W at 1.5 amps! This laser has a maximum limit of over 3W at 2.5amps and should only be over-driven like this for very short times. This level of power certainly creates the ability to cut more and do more with your laser. At the factory setting of 1.5amps @ 2.2W, you should get about over 3000 hours of lifetime from the laser. This laser also has internal ESD device for an extra level of static protection. This multi-transverse mode laser diode component is pressed fit mounted in an aluminum housing and has an aluminum mountable heat-sink. The laser is set in the heat sink with thermally conductive paste. 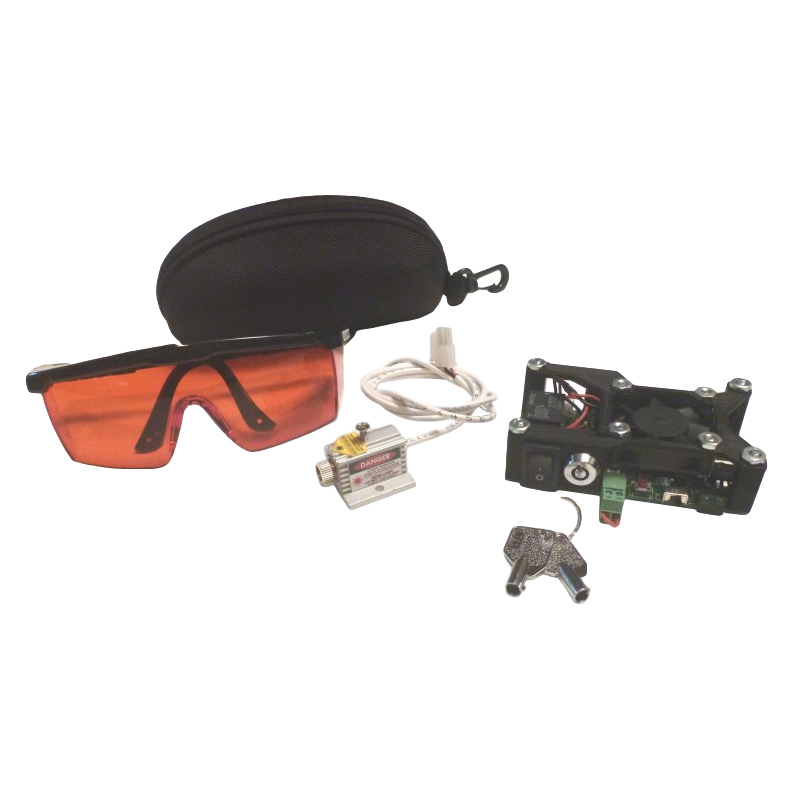 The front of the component contains an adjustable glass focusing lens for the laser output. 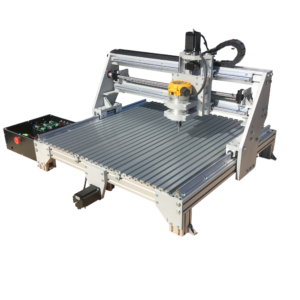 The laser has an ABSOLUTE MAXIMUM of over 3W at 2.5amps and should only be run at this level for very short times. Additional cooling techniques would be advisable if you want to run for extended periods at higher powers. This is the fourth generation of the popular High Current Laser Diode Driver series. 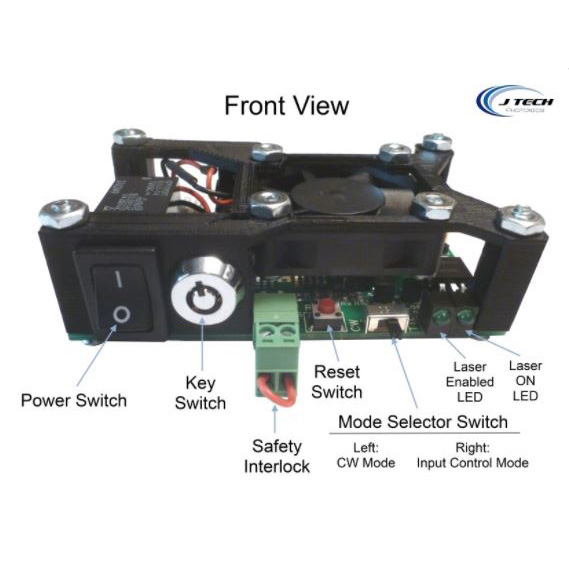 We designed this new generation to follow the federal guidelines for safety compliance for high power Class 4 laser operation.This includes the use of a key enable switch, safety interlock system, power off reset, and laser LED indicators. All of these features make for a safer laser operation and will comply with federal laws regulating such operations. 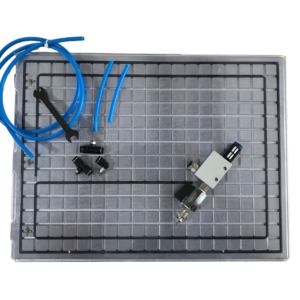 At the heart of the product are laser trimmed parallel regulators to give constant current without the large temperature dissipation of other regulators. 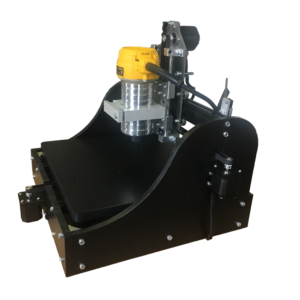 Couple this with inherent safety features like soft starting, current isolation, reverse protection, ESD protection, and thermal shutdown control and you have all you need in a small package. The high power laser diode driver is cost effective and easily integrated into industrial, research, or enthusiast projects and products. The driver can be operated in CW mode or in Input Control Mode to be interfaced to remote electronics. 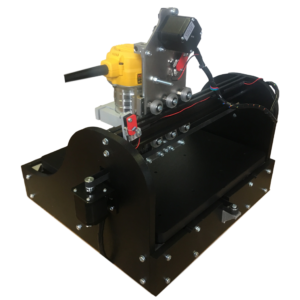 This design uses digital isolators for super fast response and input range while protecting the laser from deadly ground loops. The board has screw terminal connections as well as Molex mini-fit Jr. connectors for easy connections to external equipment for control and the laser diode output. – High power current source for driving Laser Diodes and Light Emitting Diodes. – Current Range of 2.5 Amps. – Current Ranges are adjustable in 500ma increments. – Soft start for diode protection. – Reverse diode and ESD protection. – Thermal Protection and Over Current Protection. – CW Mode and Input Control Mode. – Digitally isolated control input. – Control from CW to 5KHz. – Configurable Input signal: Inverting /Non-Inverting. – Multiple connector options for both Laser/LED output and control input. – LED status lights for input laser enabled and laser on.